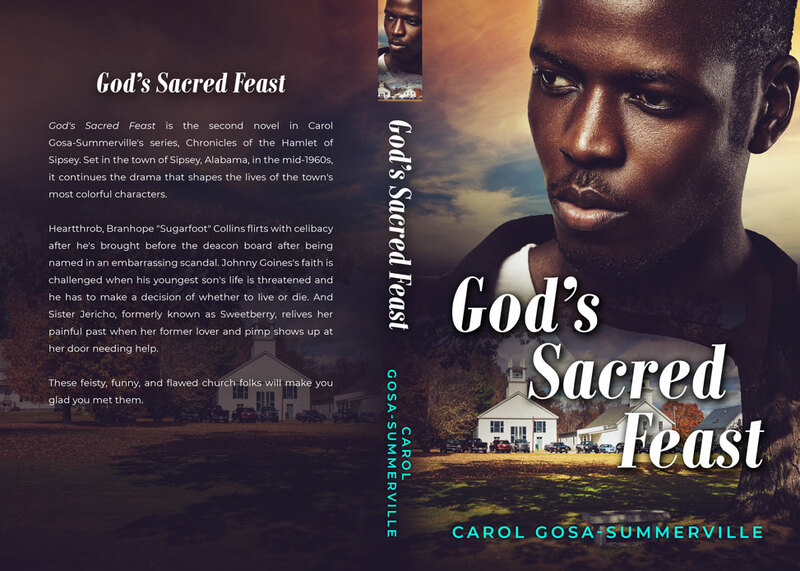 Beetiful designed the book cover for God’s Sacred Feast by Carol Gosa-Summerville. 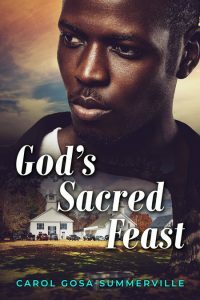 God’s Sacred Feast is the second novel in Carol Gosa-Summerville’s series, Chronicles of the Hamlet of Sipsey. Set in the town of Sipsey, Alabama, in the mid-1960s, it continues the drama that shapes the lives of the town’s most colorful characters. Heartthrob, Branhope “Sugarfoot” Collins flirts with celibacy after he’s brought before the deacon board after being named in an embarrassing scandal. Johnny Goines’s faith is challenged when his youngest son’s life is threatened and he has to make a decision of whether to live or die. And Sister Jericho, formerly known as Sweetberry, relives her painful past when her former lover and pimp shows up at her door needing help. These feisty, funny, and flawed church folks will make you glad you met them. Get God’s Sacred Feast by Carol Gosa-Summerville today!